Green roof technology has been long been popular throughout Europe, but it is now growing in popularity throughout North America. Rooftop gardens are becoming more popular in urban areas experiencing the heat island effect, like Miami. In fact, the City of Miami Beach passed the Sustainable Roofing Ordinance in 2017. 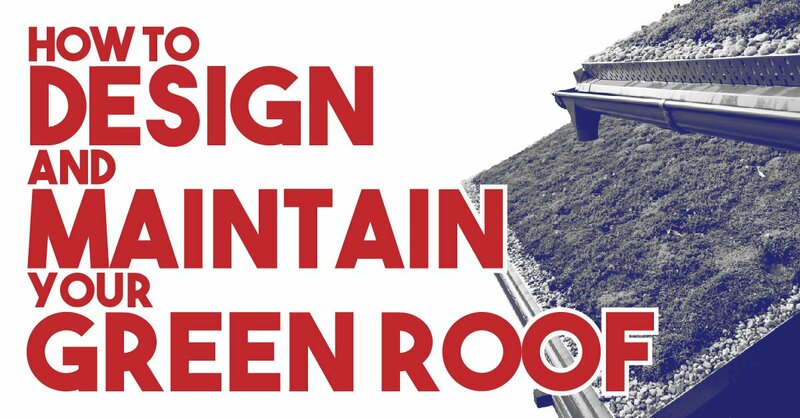 This ordinance encourages businesses and homeowners to choose roofing systems like green roofs. They not only reduce the heat island effect but also help retain or reuse stormwater. This, in turn, helps reduce greenhouse gases which are harmful to the environment. Also known as a living roof, a green roof is completely or partially covered with plants. Unlike a container garden where vegetation is in pots, living roof plants are not in pots. There are several layers to a green roof system. What Should You Consider When Designing a Green Roof? Before installing a green roof on your business or home, you will need to make several decisions. You will need to have an understanding of who will have access to the living roof. If it will be set up for a tranquil break spot, safety features must be in place. This protects not only your visitors and you. In the event, someone is injured you want to be free from liability. You will need to decide who will be responsible for maintaining your green roof. All gardens, whether planted on the ground or on a roof, require maintenance. Having a roof garden does need some extra attention to avoid damage to your roof. Have your roof inspected to ensure it is structurally sound. It needs to be capable of supporting a green roof. If your roof needs to be stronger, make those improvements before installation begins. You will need to decide how extensive you want your roof garden to be. This includes what type of plants you would want to grow. You might choose to only devote part of your roof to a garden or have it completely covered with vegetation. The more extensive the garden, the more maintenance it will require. Have a professional roofing contractor inspect your green roof on a regular basis. For the most part, it is feasible to perform most of the maintenance on your own. It’s important during the first 18 months to keep up with weeding your new green roof. New soil usually contains weeds which can spread and crowd out your young plants. If not addressed on a regular basis, the result is a garden full of dead plants. Proper drainage is important for a green roof. Check the drain inlets and outlets for any blockages every season. Make sure all drainage areas are free of plants. Plants which are planted too close to the drains can clog the drains. Each year the entire system should be inspected to make sure it is functioning properly. Make sure there isn’t ponding water anywhere. If you have an irrigation system it also needs to be inspected. Replace any dead or diseased plants and watch for unwanted insects. The soil should only be watered during the first 18 months as the garden becomes established. Times of drought is the only other time you would water. Use fertilizer sparingly during the plant establishment period. Add nutrient-rich compost to your roof garden each spring and autumn to replenish the soil. Installing a green roof is a big project and the first step is making sure your roof is ready. From preparing for a green roof installation to regular inspections, A-1 Property Services can do it all. Call us today at 305-547-8355 to get started.